Sometimes even major corporations stumble into linguistic dilemmas with badly executed ad translations. Occasionally translation bloopers are not so much funny as they are detrimental. When, in the mid-60s, Chevrolet marketed its new model in South America, they were surprised at the poor sales of a car that had brought plenty of revenue in the United States. The Chevy Nova has no negative connotation in English, but in Spanish “no va” means, very simply, “it doesn’t go.” Very soon the company realized its mistake and renamed the model the Caribe in Spanish-speaking countries. Even images in translation can cause confusion. The Tide detergent company wanted to circumvent the language barrier by utilizing picture-only billboards in a number of countries. The premise of these images was simple: In the first frame, a frowning woman holds up a dirty shirt. The second frame shows her placing this shirt into a washing machine and loading it with Tide detergent. Finally, in the second frame she cheerfully holds up the now-clean shirt. What could possibly go wrong with this ad campaign? In this case, the fact that in Arabic-speaking countries both text and images are read right to left instead of our accustomed left to right made the Tide ad campaign seem to indicate that their detergent will dirty your nice, clean clothes. What these often-times humorous ad translations show us is that even huge corporations can go astray in the complex and multi-faceted field of intercultural business. In order to avoid such glaring errors, two important ad translation elements must be taken into account. 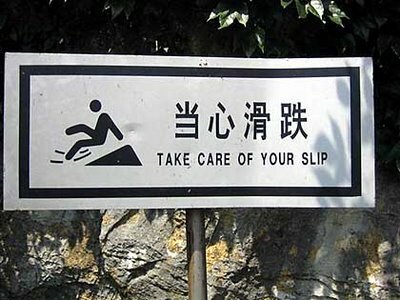 Firstly, the translation must be flexible rather than literal. The team of translators must have enough fluidity in the target language and enough understanding of the nuances of the culture to avoid stiff, stocky language and culturally-objectionable ideas. Secondly, both ad translators and the companies that hire them must exercise sound judgment. Amidst the myriad factors necessary to take into account when conducting international business, corporations must choose the most qualified translators (and professional ad translators know the importance of stepping outside the realm of literal translation), lest they give the “no va” impression to their international clientele.